One could summarize the definition of giving as putting something of value into the hands of another for his or her use. This is surely what the author of the book of Hebrews means when he says to share what you have, because sharing is pleasing to the Lord. It is the realization that every gift comes from God: our time, our talent, and our treasure. This is stewardship in a nutshell – taking the blessings that God entrusts to us and giving them back to the church in the name of God. Gifts in memory of a loved one or friend are one way to honor a special person. Sometimes memorials are designated to a certain area like outreach. Other times, memorial funds are used to improve the buildings and grounds of the church or to purchase items used in worship. Memorial gifts allow St. Christopher’s to continue serving parishioners and visitors alike, in all aspects of church life. As you consider what will become of your assets after your death, it’s important to know that there are many tax advantages for your family and estate that can come with making a planned gift to St. Christopher’s. Examples of planned giving may include life insurance policies, Will Bequests, Charitable Remainder Trusts, Charitable Gift Annuities, gifts of stock, and gifts of land. A professional versed in planned gifts can assist you in setting up your assets both for your benefit and that of St. Christopher’s. Either as your primary pledge or as an additional method of supporting the church, St. Christopher’s welcomes your gift of securities or stock. To do so, please set up a meeting with the treasurer by contacting the church office either by phone or email. Members of St. Christopher’s have the opportunity to live into the scripture by sharing what they have – a sacrifice that is pleasing to God. Giving is a way to do this. Pledging is an even more helpful way of giving. 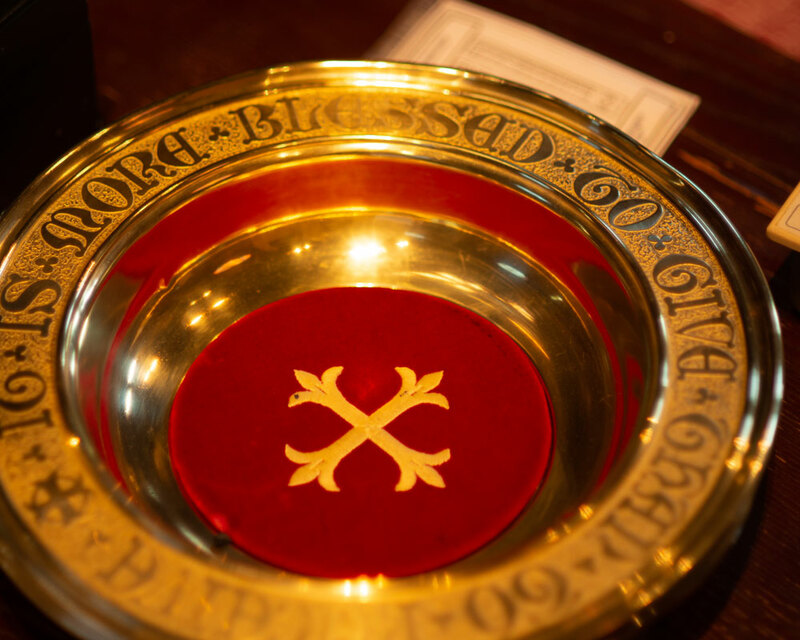 By pledging, you allow St. Christopher’s to budget for the physical needs of the church: i.e. lights, AC, heat, water, staff salaries, building and grounds maintenance. By pledging, you also allow the church to have what it needs to offer weekly Sunday Eucharist, a weekday service, Christian Ed programs, outreach, music, and special events. It takes thoughtful prayer and sacrifice to pledge, but in doing so, you are giving back a part of God’s gifts to you. Don’t want to give online? Download a pledge card here.